Deals with the modern predicament of the Rabha (or Kocha) people, one of India;s indigenous peoples, traditionally practising shifting cultivation in the jungle tracts situated where the Himalayan mountains meet the plains of Bengal. When the area came under British rule and was converted into tea gardens and reserved forests, Rabhas were forced to become labourers under the forest department. Today, large-scale illegal deforestation and the global interest in wildlife conservation once again jeopardize their survival. 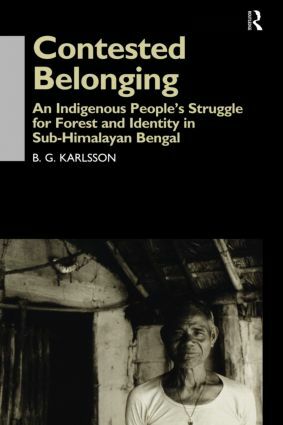 Karlsson describes the development of the Rabha people, their ways of coping with the colonial regime of scientific forestry and the depletion of the forest, as well as with present day concerns for wilderness and wildlife restoration and preservation. Central points relate to the construction of identity as a form of subaltern resistance, the Rabha;s ongoing conversion to Christianity and their ethnic mobilisation, and the agency involved in the construction of cultural or ethnic identities.